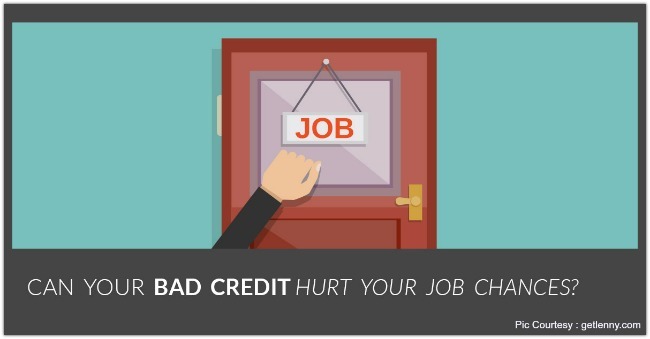 A Negative Credit Score Can Hurt Your Job Search? You are here: Home / Loans & Credit / A Negative Credit Score Can Hurt Your Job Search! Sounds bizarre, doesn’t it? But as odd as it may sound, this is indeed the truth. In western countries the system of rating an individual’s credit performance started many years ago before it arrived in India. Using this report to judge a person’s financial management skill has been a standard practice since long. But this is a relatively new concept in our country and it is fast gaining ground. We shall elaborate here on what your prospective employer will learn upon looking into your credit report. Along with that, we must address two important questions as well – Can my employer access my report from CIBIL? Why is my “employer-to-be” interested in my past credit performance? What happens if I have a bad or negative credit score. Read on to find out. First things first. If you order your Credit Information Report (CIR) today, you will see a section with your employment details captured in it. In these fields are records of your employer’s name, occupation and income. This information is reported by the lending institution like your bank for any credit that you may have availed from it. So, is my employer allowed to access my credit report? No. Neither your ex-employer nor your future employer, none can access your credit report. Bound by RBI guidelines, CIBIL has to maintain confidentiality of your report and it can only be accessed by you or a prospective lender. Then, how will they get a copy of your report? By simply asking you to submit it along with your job application. More and more companies are demanding a credit report when evaluating a candidates profile for a particular post. Several multinational companies, banks & NBFCs, stock traders, AMCs, BPOs, IT & ITES companies, telecom companies etc are insisting on credit reports of potential employees. Why is a future employer interested in your CIBIL report? Well, most importantly, in recent times there has been an increase in defaults on repayments and a steep rise in financial frauds, where in an employee of the lender too was involved. So, the companies have become more cautious before hiring anyone. They want to be sure of their due diligence and conduct a thorough background check. For example, having on board a “history sheeter” who has defaulted on several financial obligations is likely to fob work related commitments too. Besides this, it will also impact the company’s reputation adversely. When your employer goes through your credit report, he or she can verify your previous employment details which you may have already mentioned in your resume. 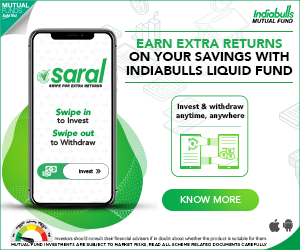 Apart from this they will be able to check upon your financial being till now. Neither do you have to be a financial guru to impress upon your boss nor is it likely that your job application will be rejected because you made a few late payments on your credit card. 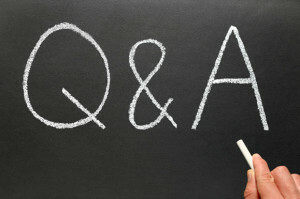 Mostly, employers judge the candidate on two aspects – “hard skills” and “soft skills”. Let us explain this using an example. Suppose, Ms. Aditi Pujari is applying for a banker’s post with XYZ Bank. XYZ bank while going through her credit report notices her poor score due to negligent behavior on her part, missed credit card payments, settlement of loans and too many loan applications at various lenders. The bank would be quick to question on why they must trust her with their funds when she has been incapable of handling her own up till now. This shows her poor “hard skills” – mismanagement of funds and an appetite for more money. The company would also take notice of her “soft skills” like careless attitude, perhaps lack of attention and unable to keep focus due to debt burden. All this collectively will throw a poor light on Ms. Pujari, irrespective of the role that she may have applied for. From a company’s point of view, as an undisciplined credit user, you pose a potential threat if confidential client information is shared with you, funds are handled in your care and/ or trade secrets will be shared with you. This can be too much of a risk for the company to deal with. On the hindsight, your impeccable previous credit record (good credit history) can really impress your potential employer, would show you in a positive light as a meticulous financial planner and you may have won a part of your company’s confidence even before you join them. Ofcourse we are not saying that these are certainties basis which your application will be rejected but we are stressing they may build grounds for rejection. Obtain a copy of your credit report today and check for any errors or misreporting of facts. Have these errors rectified in time and make sure they are done before you begin the hunt for your job. This is so that when you submit your report to your likely employer then it throws a positive light on your financial matter. How a prospective employer perceives your credit report and what conclusions he or she draws from it will be hard to say. However, it is possible to make sure that your employer makes the right judgements about you by keeping your records clear of any off-putting elements. Use credit with a firm hand and many companies will shake hands with you. This guest post is authored by Arun Ramamurthy. Arun is an IIM alumnus with work experience at leading global banks in India. He is on the Board of Directors of Free Score India that aims to spread awareness about credit scores. 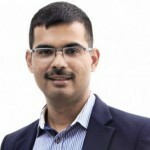 He is also the co-founder of Credit Sudhaar, a company which aims to spread awareness about importance of credit health and help people achieve their financial objectives. I will be joining a company wherein they have asked “if there is any outstanding debit which may impact your credit report”. But they didn’t request the report and they are having my PAN,DOB and all other details. Will they view my report without my knowledge. I have an outstanding loan and due to that my credit score is low. However I am gong to close the loan. Will it affect my future opportunity? Kindly understand that having outstanding loan may not necessarily bring your credit score down, unless you are not prompt in paying the EMIs/dues. Did you go through your credit report? Have you seen your credit score? An employer can not access your Credit report. I didn’t repay the EMIs.It’s missed from my end.Hence my score is very low..
Will they be able to check my score trough 3rd parties like financial institutes as they have my all details. Dear Kali..Legally, they can not access your Credit Report, unless you submit it to them. I have few queries regarding credit score. One of my friend has 6 credit cards which are in overdue now. He is unable to pay now from last 90 days. He is in some finance related problems and some family health problems, even don’t know when he can pay the amount to the banks. What will happen from the banks in current situation and in future. Can you please provide the valuable suggestions. So that I can tell to my friend to be in safe. Dear Kiran..Kindly go through this article : Credit Card Dues..
What is the guarantee of the authenticity of the report? The candidate can fudge the data before submitting the same to future employer..
Dear Anshuk..Who will be the loser? If that is the case, we all know that few job seekers fudge their resumes/documents to get a job, but if the employer comes to know about these misdeeds, who is going to be the loser? It’s the EMPLOYEE only.